Vesicular exocytosis at presynaptic terminals is fundamental function for neurotransmission and brain function. The lumen of a secretory vesicle is acidic (pH 5.6), whereas it becomes neutral (pH 7.4) instantaneously upon exocytosis. The intravesicular change of pH can be detected by a fluorescence change of a pH-sensitive derivative of green fluorescent protein (pHluorin). SynaptopHluorin (SpH) is a fusion protein of pHluorin and syntaxin (VAMP2) for targeting to secretory vesicles. Thy1-SpH transgenic mouse expresses SpH in brain under the control of neuron-specific Thy1.2 promoter. This strain is useful for studies of presynaptic terminals in various regions of the brain. 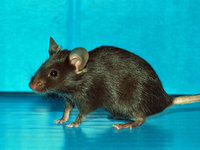 Six lines of the transgenic mice with different SpH expression pattern are available from RIKEN BRC. For detailed expression pattern of SpH in each line, please see the reference listed below. 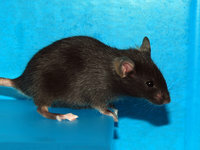 Reference : Araki, R., Sakagami, H., Yanagawa, Y., Hikima, T., Ishizuka, T., and Yawo, H.
Transgenic mouse lines expressing synaptopHluorin in hippocampus and cerebellar cortex.